Prize bond is a non interest bearing security which is issued by the government of a country to raise fund to reduce the borrowings. Personal savers are placing this saving for themselves. It is interest free savings but its benefits divided by a lottery which will hold after certain time period. Without government authority, any kind of financial body cannot announce or give prize bond. When a prize bond issued in a country by the government, anyone from any place of that country can purchase. Anyone is eligible for prize bond from anywhere of the country. It is really issued for encouraging ever y kind of people of everywhere to increase their savings. Children also can buy prize bond. It helps to grow a saving mind to every child of that country. There are 2 types of enterprise who can issue and announce a bond to public to collect investment and raise capital. One enterprise is the government and another enterprise the local or international private companies. Local and international private companies need to take approval before announcing the bond. But general people will more interest for the government issued prize bonds. But those are related with different financial activities and works are also aware for government and private/commercial issued prize bonds. Those who are known about financial terms and financial calculation, they will collect the commercial private bonds generally. But bother the enterprise’s bonds have the demand to all kind of peoples. After getting prize bond, there have an issued date. Any holder can sold the prize bond after 60 days period of the issued date. But the valid period of prize bond is after 2 years. You can purchase and sell it at any time at anywhere. If anyone wants to buy it, simply need to go on any branch of bank. The bank will give him the same amount of prize bond instantly. So, if any prize bond holder wants to use his/her money, they can easily and instantly get their money which they invested on prize bond. The benefits and opportunities of prize bond for bearer and government is high. Both parties get the benefits of prize bond. They also use it for cope up with different types of opportunities of investment. Government is benefited at first stage of it. Government can use the fund of prize bond for different investment program of the government. They also use the fund for different development work of government. They need to give less amount of profit to it bearer, in the sense of borrowing loan from home and abroad. But for taking these facilities of fund, government should show the confidence to general people of the country. Normally It is issued for middle and lower middle class people of a country. They are not high income generated people. They are earning as they need and spend for their livelihood. They are trying to buy prize bond in different times for savings and prizes which will be given after the certain time. They hold the this bond. If there are not any facilities of prize bond, they cannot save their money. It is an opportunity to store their money for different types of development works of themselves. They can see on their developments by saving at prize bond. It is a easy way to store and save money of everyone who wants to save his/her money/currency for future use. There are some features of prize bond which have the acceptance to general peoples. General peoples are always careful for getting the prize bonds. They try to take it as much as possible. They are trying to reach the highest benefits of it. They also encourage relatives and known people to purchase bonds to store the money in banks and financial institutions. There are lots of advantages this bond. But there are also some disadvantages/risks of it. These disadvantages for investment risk, interest rate risk, time value of money risk etc. It is issued for general people by private or government. They will invest the currency on different sectors. After getting the revenue from the different sector enterprises will give the return to prize bond holders. If they failed to do business from different sector, they cannot pay the best benefits to prize bond holders. So, in this respect, there is a risk for the investment of general peoples. After that, sometimes, issuers cannot pay the highest amount of interest rate. They give little amount of interest to prize bond holder which cannot full fill the time value of money. If the interest rate will come with low rate there will be a problem for calculating the time value of money for the prize bond holders. Because, they need to get more amount then the time of value money’s amount if they deposited the money into a bank. Ways of announcing Prize bond result is very easy to everyone. It is declared publicly to everyone on the websites and daily national papers. Everyone can see the notice and also can collect the result for the enterprise office. All kind of enterprises are bound to give the result to every prize bond holders. After disclosing the result, prize bond holder can handover the prize bond to enterprises and any branches of banks. The banks will collect the prize bond from the bond holder and give him the same amount of currency for the prize bond with the interest. 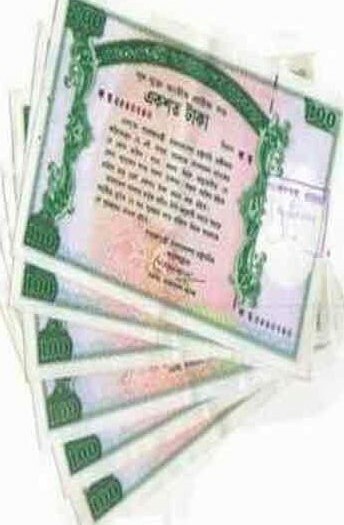 Any Bangladeshi can buy it from Bank or Post office. The bond is eligible for draw after 60 days of buying. You can get the form Bangladesh Bank. The validity of Claiming Draw money within 2 years of draw. There are 26 series of Prize Bond, each series has 1000000 prize bonds. If a number wins, all series having that number also win.